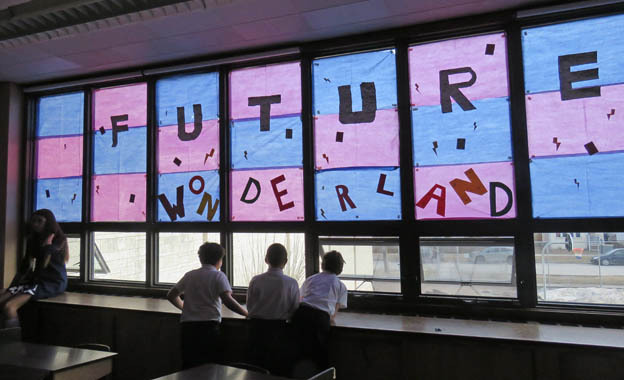 The windows of the grade 8 class were decorated to represent the fantasy realm of “Alice in Wonderland” combined with the movie “Back to the Furure”. 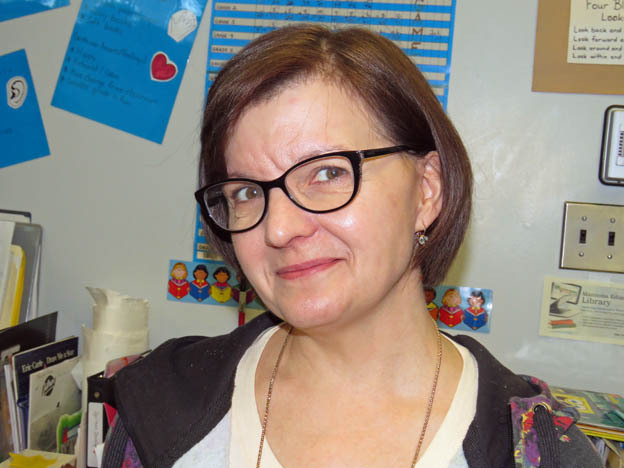 For many years, February has traditionally been celebrated in most Manitoba schools as “I Love To Read Month”. 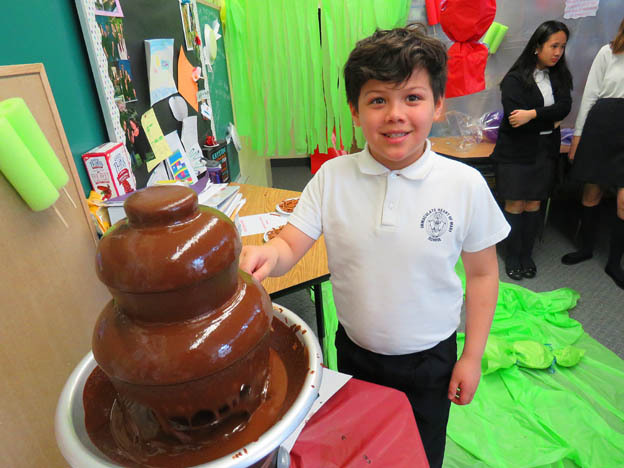 However, February is a very busy month at IHMS (we have the Annual School Tea, Lent, and Catholic Schools Week during this time), so for this year the organizers decided to move “I Love To Read Month” to April. 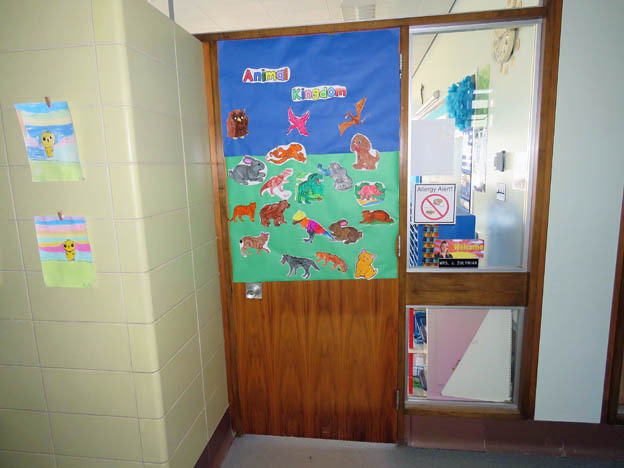 During this time, students were involved in activities that promoted and celebrated reading in their daily lives. 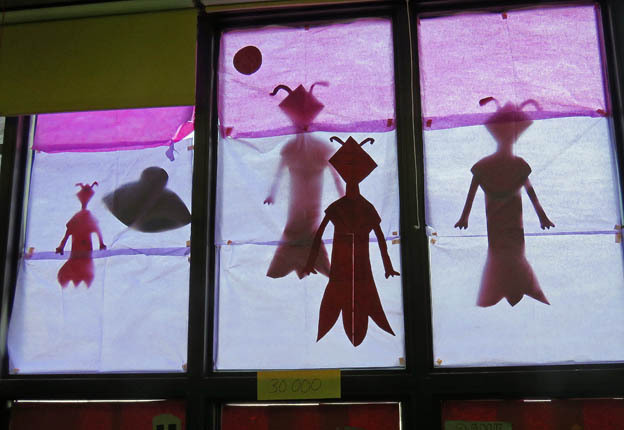 This was a celebration of the imagination, where students spent the month exploring the genre of “fantasy fiction”. 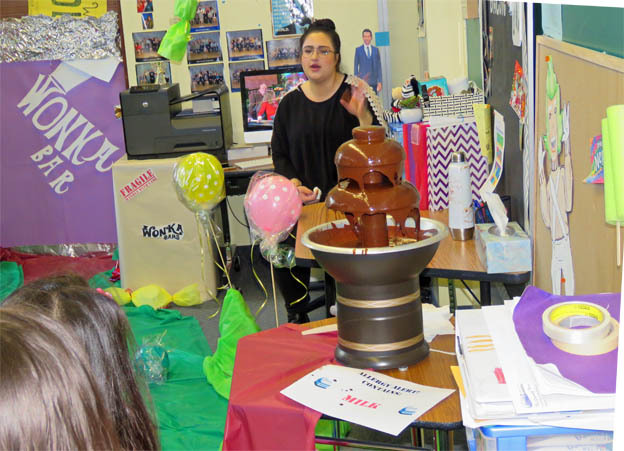 On Friday, April 20, students who toured the Resource room experienced a “Willy Wonka & the Chocolate Factory” fantasy world complete with a chocolate fountain! 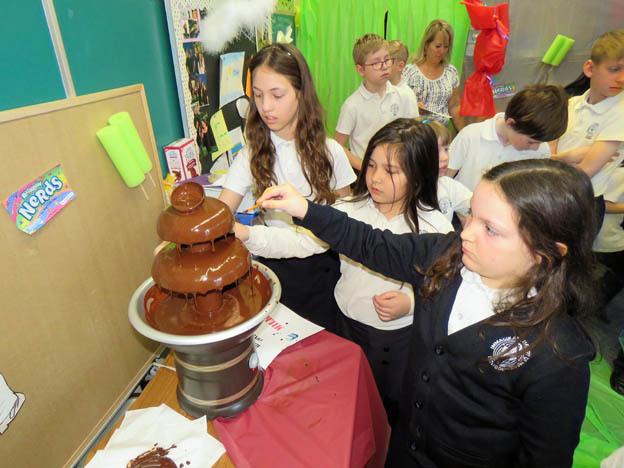 This was an actual, operational chocolate fountain that was brought to school specifically for this purpose by the school’s Resource teacher, Mrs. Walkow. Needless to say, the students loved it! 1. 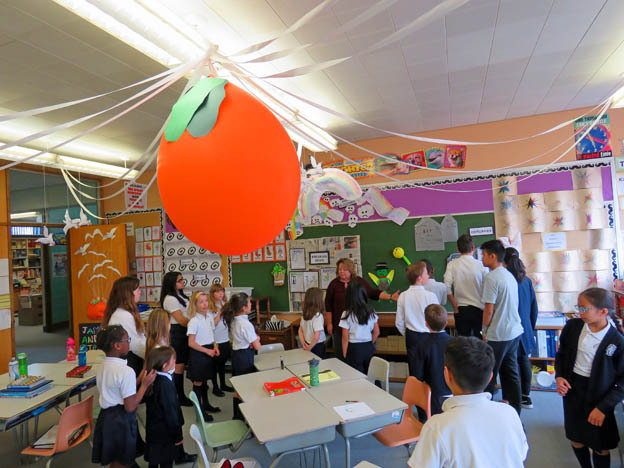 A student tour through all of the classrooms in the school, from kindergarten to grade 8. 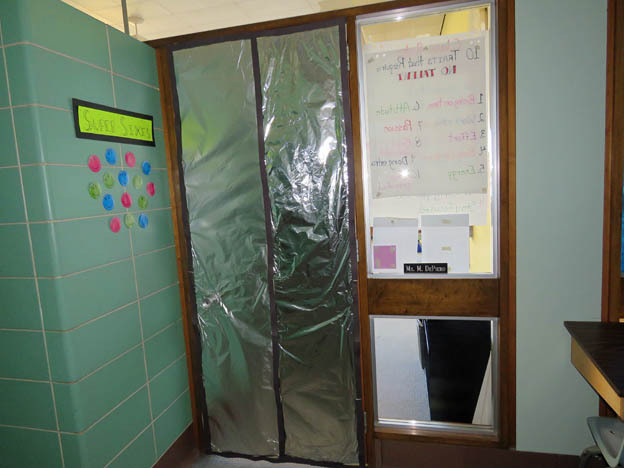 Why would students want to tour the classrooms? 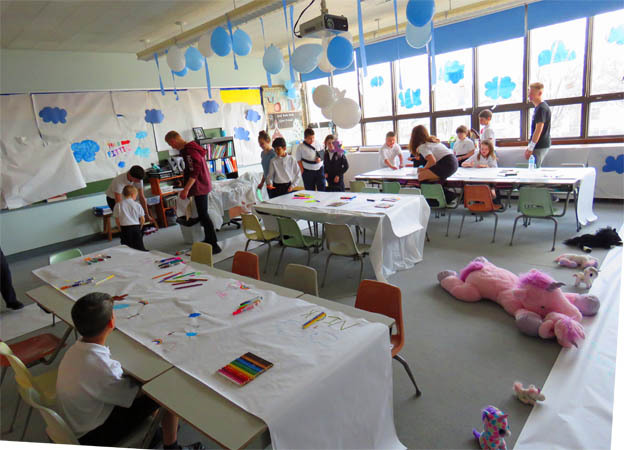 Because every classroom had a different theme and was decorated by the students to represent a unique type of fantasy world. 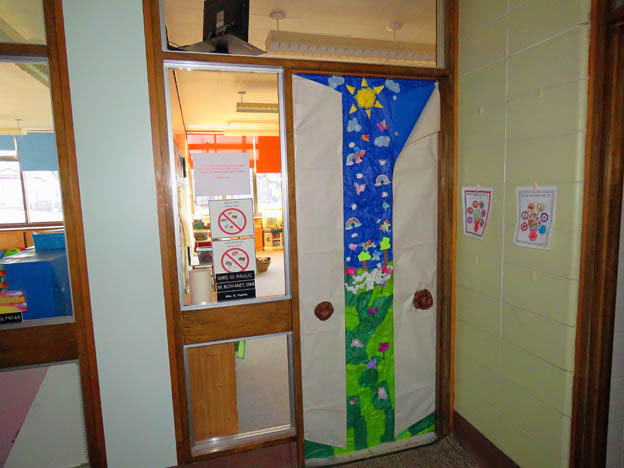 Entering the fantasy world of each classroom simply involved passing through the “portal” (decorated doorway) of each room. 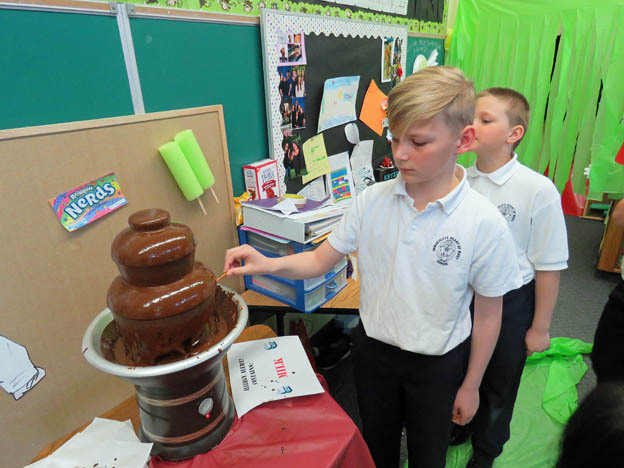 This activity took place immediately after morning announcements on Friday, April 20th. 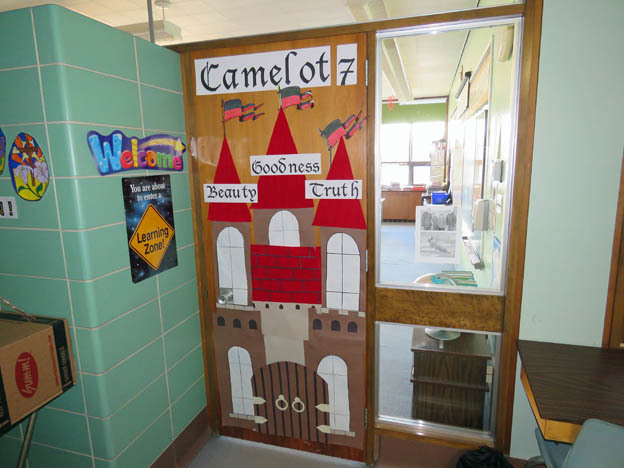 Some examples of the decorated doorways for each of the classrooms in the school, Each doorway represented a “postal” into a different fantasy realm. 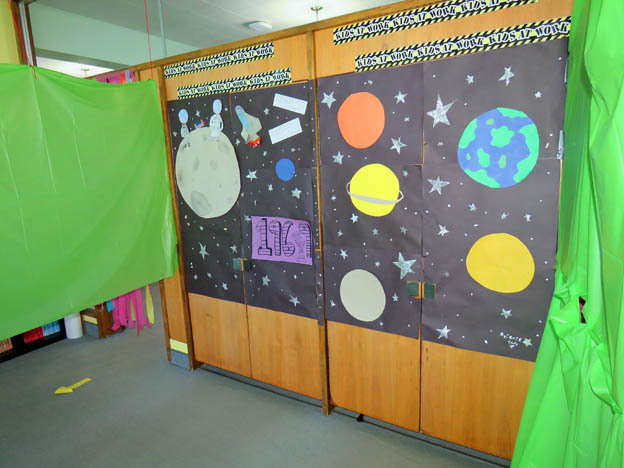 Some of the fantasy worlds that students experienced as they walked through the classrooms on Friday, April 20th. 2. 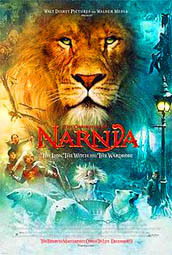 The Manitoba Theatre for Young People gave a live theatrical presentation of the fantasy novel “The Lion, the Witch, and the Wardrobe” on Friday, April 20th at 2:00 p.m. in the IHMS gym. Note: Photography during the presentation was forbidden. 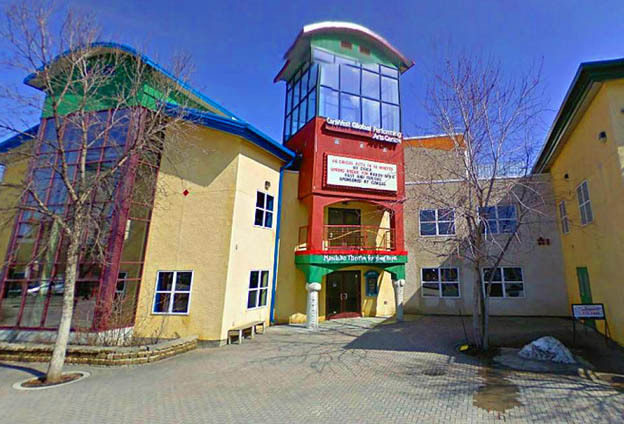 The Manitoba Theatre for Young People (MTYP) is a theatre for children and young adults. It’s located at 2 Forks Market Rd. at the Forks. 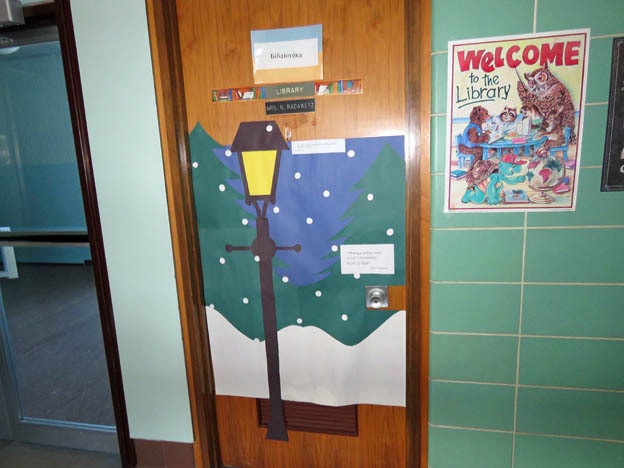 Among the various fantasy novels that the students explored during “I Love To Read Month”, particular emphasis was placed on the novel “The Lion, the Witch, and the Wardrobe”. 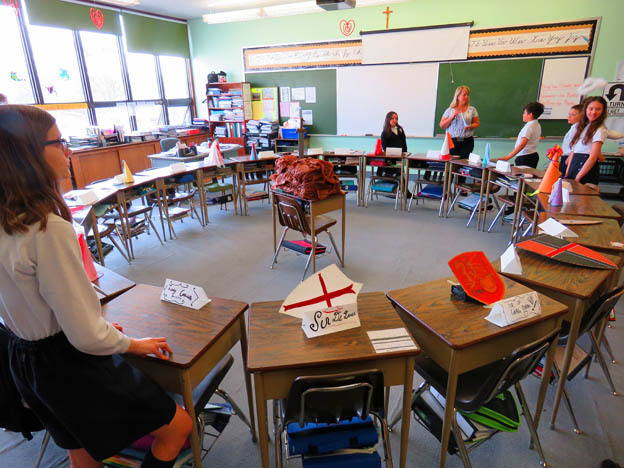 Beginning in February and continuing until April, the novel was read aloud to the grade 4-8 students during their Library class. 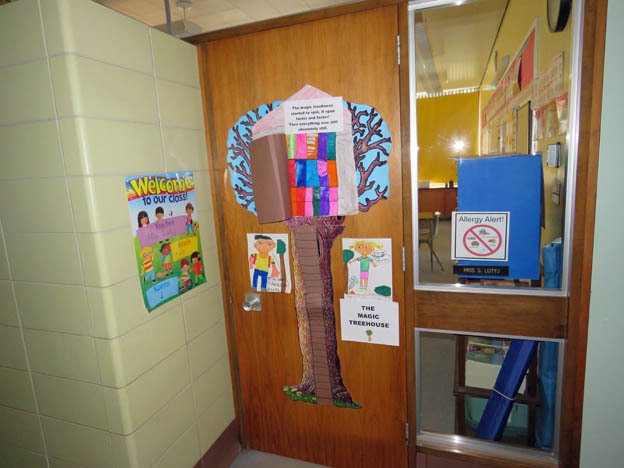 In addition, a picture book version of the same story was read aloud to the K-3 students during their Library classes. So, on Friday, April 20th, when the Manitoba Theatre for Young People presented a live theatrical version of “The Lion, the Witch, and the Wardrobe” in the school gym, every IHMS student was already familiar with the story. 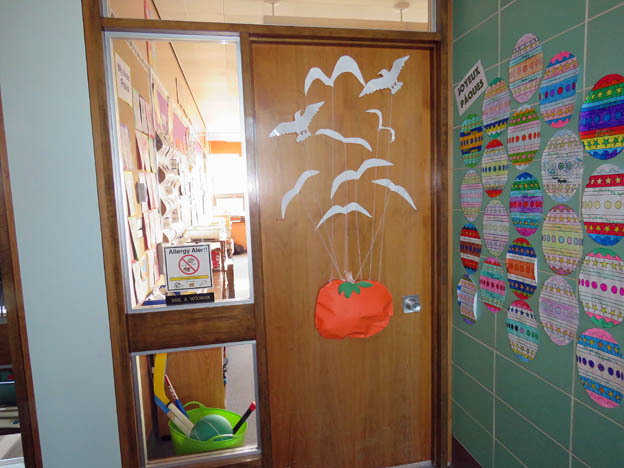 Another activity done at random times during “I Love To Read Month” is something called “Spot the Reader”. 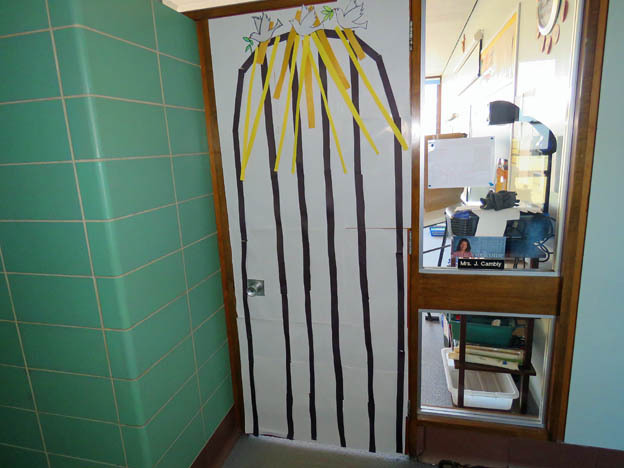 This involved a secret spotter who handed out prizes to students caught reading. The identity of the spotter was a secret, and therefore cannot be divulged to the public (it was Mrs. Radawetz). 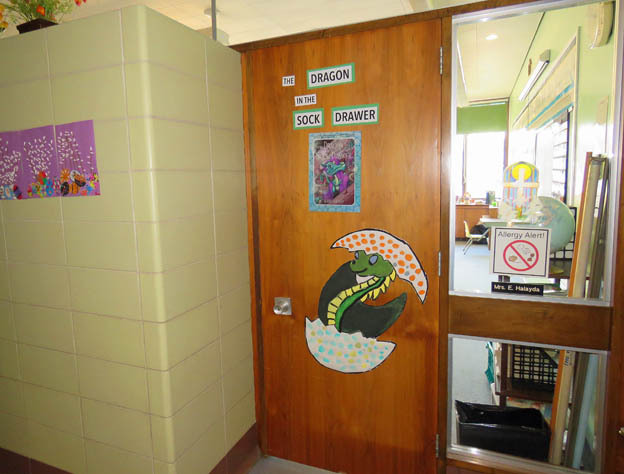 What secret does the school’s Librarian Mrs. Radawetz have about “Spot the Reader”? 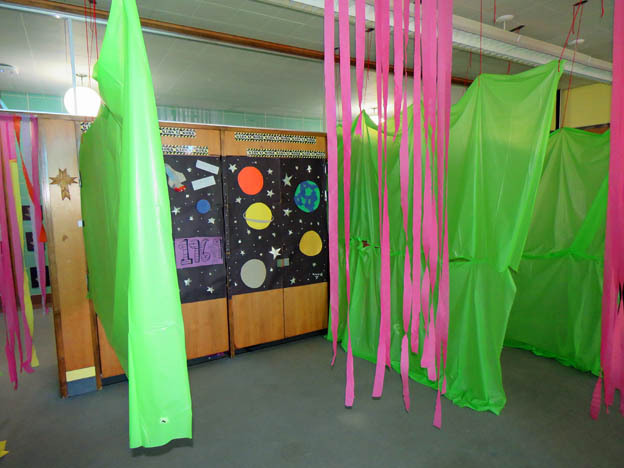 “I Love to Read Month” was a lot of fun and an interesting time for the students. Hopefully, they learned to love and appreciate reading even more than ever!